Houseofmirelle.uk publishes books covering topics about and related to the history of Hull’s fashion house. In 1840 a small Jewish family emigrated from Prussia settling in Kingston Upon Hull. 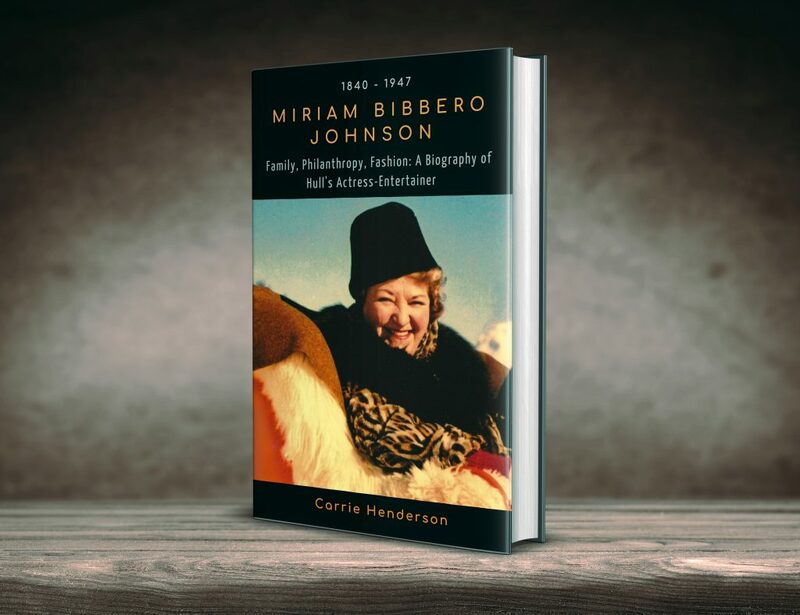 100 years later their great-granddaughter Mira Bibbero Johnson was one of the most famous actresses in England carrying on the family tradition of charitable work in Yorkshire’s caring city of Hull. Starting with the story of her famous great-uncle Marcus and grandfather Barnett, Mira Johnson’s biography charts her electrifying career. Her biography leads you through the Wireless Age to BBC Television, theater and stage school from Victorian Britain to the end of World War II. Owner of Hull’s exclusive fashion house the House of Mirelle her story is truly fashionable, a stylish glimpse into clothes, society and the women that wore them from days gone by. Told against the historic backdrop of the city, theater, radio and film it’s an 100 year romp with all the twists and turns you’d expect from the life story of one of Hull’s most characterful and creative pioneers. All profits from the sale of the book will go towards maintaining the HouseofMirelle archive. This is the first and definitive book about Hull’s famous fashion house. Telling the story from pre-war to closure it includes the voices of those who knew, worked and shopped at Mirelle illustrated with items from the House of Mirelle archive.